Best selling HEM Hexagonal incense. Genuine original. Beware of imitations! Pack of 6 hex tubes / 20 sticks each. Sea Breeze fragrance. Best selling HEM Hexagonal incense. Genuine original. Beware of imitations! Pack of 6 hex tubes / 20 sticks each. Meditation fragrance. Best selling HEM Hexagonal incense. Genuine original. Beware of imitations! Pack of 6 hex tubes / 20 sticks each. 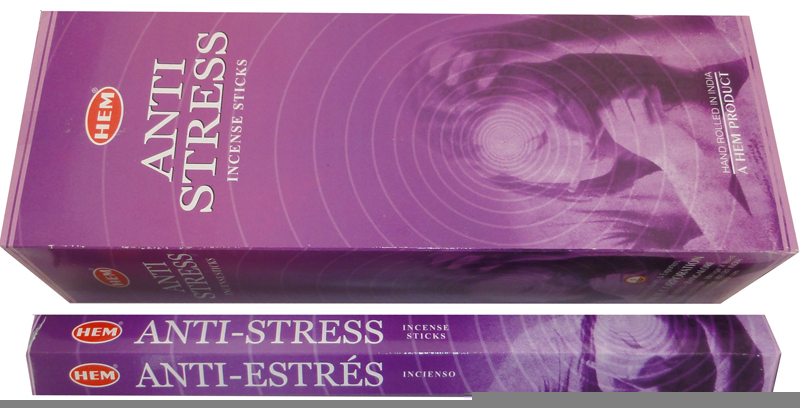 Anti-Stress fragrance. Best selling HEM Hexagonal incense. Genuine original. Beware of imitations! Pack of 6 hex tubes / 20 sticks each. Good Luck fragrance. Best selling HEM Hexagonal incense. Genuine original. Beware of imitations! Pack of 6 hex tubes / 20 sticks each. Attracts Money fragrance. Best selling HEM Hexagonal incense. Genuine original. Beware of imitations! Pack of 6 hex tubes / 20 sticks each. Gold Silver fragrance. Best selling HEM Hexagonal incense. Genuine original. Beware of imitations! Pack of 6 hex tubes / 20 sticks each. Fast Luck fragrance. Best selling HEM Hexagonal incense. Genuine original. Beware of imitations! Pack of 6 hex tubes / 20 sticks each. Amber fragrance. Best selling HEM Hexagonal incense. Genuine original. Beware of imitations! Pack of 6 hex tubes / 20 sticks each. Rosemary fragrance.